Good afternoon! 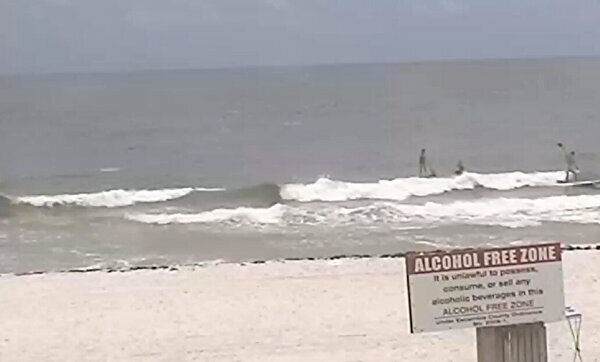 We still have surf out here on Pensacola Beach. 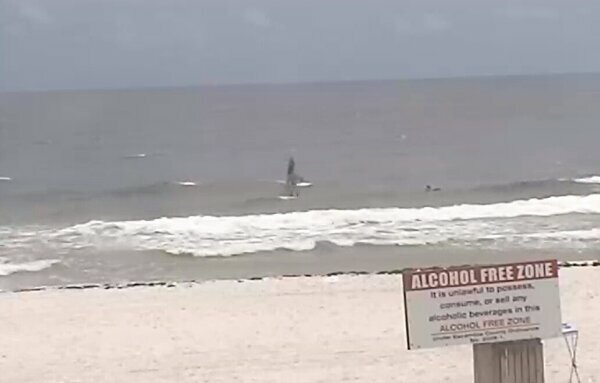 It is still running thigh to hip high with waist high sets sneaking through every so often. 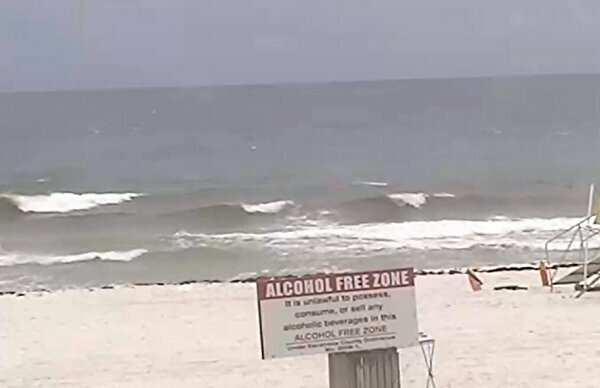 The winds are out of the ESE at 14-15 mph causing for some chop and drift. 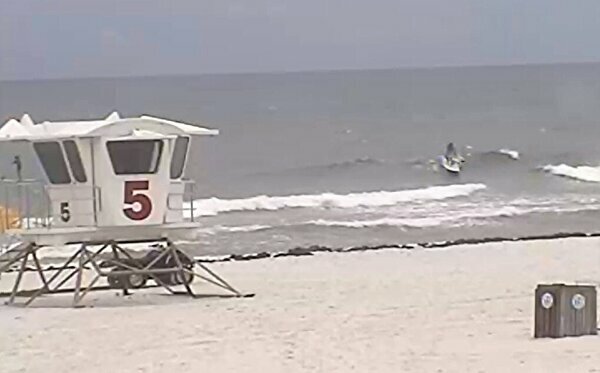 It still kind of looks fun but it’s not the glassy goodness of this morning. Keep watching the wind. These storm cells are making it go all wonky. Have a great Thursday.